Terrific piece! I'm assuming the word "facially" in line 13 is a typo and should be "factually"? Over at Facebook a correspondent noted: I don't think that's the question, "Why do people leave home…" but rather "Why are we male and female, with different bodies?" I think that's the question moderns ask, but not the one the author intended to answer. For one thing, the text doesn't mention any difference in the bodies, but only likeness (2:23) and verse 24 gives the "Therefore..." (Hebr "al-ken" = for this) which is the reason for the story, the "moral" at the end, just like in Aesop and other fables! For some commentary on the recent stresses on sexual difference see Dean Shaw's succinct rebuttal to the modern obsessions. "The first few chapters of Genesis do not indicate God’s restrictive plan for the sexual conduct of humanity. They have nothing to say about marriage ..."
If you are right, Tobias, then would it make sense to either somehow revise or delete the following from the Prayer Book's marriage rite? 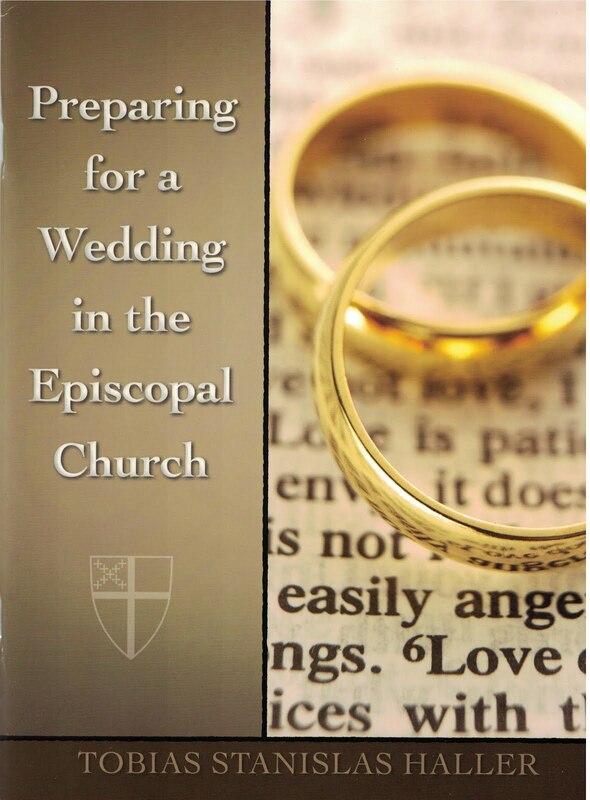 "The bond and covenant of marriage was established by God in creation ... " (BCP, p. 423). 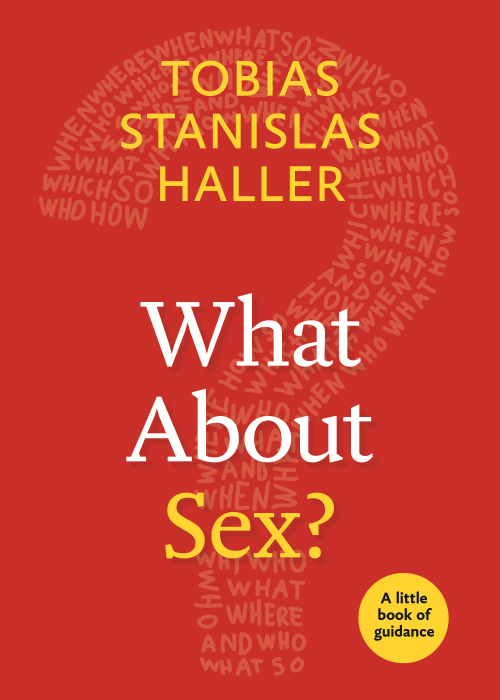 I ask because the creation-ordinance language of the Prayer Book is interpreted by many to articulate a theology in which scripture such as Genesis does, indeed, "indicate God's restrictive plan for the sexual conduct of humanity." I'm afraid your ellipsis of my opening paragraph omits the principle point. I am not saying that Genesis says nothing on marriage: but I think what it says is rather less than some assert. The language of the Preface to the marriage liturgy does not require a literal reading of Genesis. I am quite happy to affirm that marriage (as in "natural marriage" to be technical, as opposed to Holy Matrimony) does indeed date to the earliest time of human existence, and, like humans themselves, is "instituted" (to use the old language) or "established" by God. So I'm perfectly happy to read out the marriage preface with that understanding -- the only one which makes sense of the text and the data. I dunno if it helps, but for a few years now I've approached Gen.1+2 as `camp-fire ritual recitation', sort of "So big chief, tell us how we got here". The rhythmic structure of chapter 1 would seem to support such an oral-tradition story. Tim, that jibes with what I'm getting at. Especially understanding creation as THE creation. I have no problem affirming that most men and women since human life began have been mutually attracted to each other, and that God is at work in that human reality. I think that's what Genesis is saying. 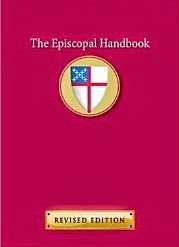 Let me also add that Episcopalians did manage to perform marriages for over a century (1786-1892) without any reference to divine institution or establishment. So it plainly can be done without. Thanks for the clarifications, Tobias. And my apologies for the ellipsis. I see your point now and how I initially missed it. That's a good point about the marriage rite in the 1789 American BCP not including "any reference to divine institution or establishment." (I note that it's a different story with the 1549, 1552, 1559, and 1662 BCPs in the Church of England.) It makes one wonder why an explicit reference was brought back into the American Prayer Book tradition with the 1892 BCP! Of course, to say that the solemnization of marriage can plainly be done without an explicit reference to divine institution or establishment is not the same thing as proving that the lack of an explicit reference is the same thing as the rejection of divine institution or establishment. A couple of further questions regarding your original posting, Tobias: if the claim that biblical texts like Genesis "do not indicate God’s restrictive plan for the sexual conduct of humanity" is true, are there other authorities that do indicate such a restrictive plan? And if we no longer accept the "creation ordinance" theology for such restrictions regarding marriage today, why should we accept into the restrictions that other purported authorities seek to impose us? I'll have to demur on your additional questions until later, likely tomorrow evening or Sunday. Ordination of my deacon-in-training tomorrow! A long day, a beautiful ordination. But I do want to respond briefly to Bryan's closing questions. Each is likely worth a treatise, but I think I can sketch out a theme or two here in response to the first, and would ask of him more clarity on the second. First, If the claim that biblical texts like Genesis "do not indicate God’s restrictive plan for the sexual conduct of humanity" is true, are there other authorities that do indicate such a restrictive plan? I don't particularly care for "plan" language in relation to God, but if the question is really, "Are there moral limits to human sexual behavior?" I think the answer is a resounding YES. I don't see Genesis as the source for that authority in itself, as I think the language is descriptive rather than prescriptive. There is a "command" in Gen 1 -- "Be fruitful and multiply" but no such command in Gen 2, where God seems to be exploring a solution to the problem of solitude rather than imposing it. So "ordinance" is also a bit strong for what we see. The commandment of Gen 1 was held to be binding by Jews, but not by early Christians, explicitly by Jesus, who not only countenanced but approved of celibacy. Later Christians (like Aquinas) said it was a commandment that some, but not all, had to follow. Jesus picks up elements of both accounts to stress his point of monogamy and indissolubility -- neither of which is explicit in the Gen texts themselves (though monogamy is perforce assumed!) And various sources of authority have confirmed those two limits to marriage. Of course, the church also explored every conceivable loophole on both matters, but that is another topic. So yes, there is authority and I think it fairly clear that monogamy and indissolubility represent moral "boundaries." I'm not entirely sure I understand the second question, other than to say that there are many moral questions to which Genesis (and any alleged "creation ordinances") give no easy answer. My standard has always been that given by Jesus himself in the Golden Rule.
. . . the chief divine inspiration — it is pure genius — is in providing two facially contradictory accounts of the same events side-by-side precisely in order to prevent us from taking them literally. . . Thanks, MM. I think "failed" is a bit strong, as I believe the discrepancy can be made use of. I don't think science has "failed" just because there are people who disbelieve its findings, for instance. I think it remains quite possible to point out the mythological and parabolic elements in Genesis, and urge folks away from literal application, while continuing to value these texts for what they tell us about our forebears -- and God! Hate to argue with someone so much better informed, but if the discrepancy was intended to inform, it mostly hasn't worked. People happily read on from Genesis I to Genesis II without realizing that it's a different account. It's all Scripture! You can usefully point out the discrepancy in this critical age, but this is 2,300 years later. And I really question what Genesis can tell us about God. He doesn't walk and speak with us, he doesn't issue arbitrary commands, and he doesn't make us male and female (he has us develop from an original female template to somewhere along a continuum with male and female end points -- and there's no ideal model, just ones that are viable). Again, put Genesis with the fables. The way it's been read does indeed tell us something about our forebears. Forgive the belaboring of point. No problem MM. I get your point, but I do not find it persuasive. That people will read Genesis wrongly or literally is an inescapable fact with which I do not quibble. But, as I say, people misread hard science all the time, so there is no sure defense against invincible ignorance. While many did for a long time read Genesis as if a through-composed single narrative, and as you note some have tried the same with the Gospels, the ability to see the stories as separate, and to treat one or both simply as allegorical, also has some antiquity to it. (There is a wonderful debate in the Talmud about whether Ezekiel's vision in the valley of dry bones is a parable or historical. So the distinction has been in place for quite some time before Wellhausen and the late 19th century teasing apart of the "books of Moses" to discern various authors. Earlier theologians had other explanations for the discrepancies than multiple authors, but they did note the discrepancies. I think your critique of Genesis along the lines of saying God "doesn't walk and speak with us, doesn't issue arbitrary commands... doesn't make us male and female..." falls into the same literalist trap as those who mistake these things for historical description. Parable needs to be understood as parable, image as image. Even fables have "morals" which are true and useful. It is one of the great gifts of the human mind that it can put a notion into a form that is in itself literally false, but which yet can convey a powerful truth.